When I was a teenager, my grandfather moved in with us. This was not his decision, mind you. All his life, he had been a strong, independent man and the thought of having others care for him was unthinkable. However, he was getting older and his health was failing. His children didn’t think it was a good idea for him to keep living by himself 260 miles away from his family. In my teenage mind, I didn’t understand what all the fuss was about. Grandpa always seemed healthy and strong. He worked his farm every day, went hunting, and walked to the store in his small town when he needed supplies. What I didn’t realize were the underlying issues that were affecting his well-being. I started to notice that my mother’s taking Grandpa to the doctor quite often. Sometimes it was for swollen limbs. Other times it was for chest pain or shortness of breath. These frequent trips to the hospital gave me cause for great concern. “Keep an eye on your grandfather,” my mother would tell me before she went to work. “And call an ambulance if he starts to feel sick.” I could feel the weight of this huge responsibility resting squarely on my teenage shoulders, but I knew I had to be prepared to take action to save Grandpa’s life if necessary. Each morning I made Grandpa a pot of coffee and two boiled eggs for breakfast. One day, after I prepared the meal, I knocked on his door to let him know breakfast was ready. Usually, he acknowledged me and came out a few minutes later. On that day, I heard no response. I knocked again. Nothing. I opened the door slightly and peeked my head in. “Grandpa, are you up? Breakfast is ready?” I said. As I spoke, I noticed him moaning in the bed. I walked closer and noticed his face was contorted and he looked confused. He grabbed my arm and tried to tell me something, but I couldn’t understand him. “Hold on, Grandpa,” I said. “I’m going to call an ambulance.” He released my arm and I ran to the kitchen to make the call. When the paramedics arrived, they rushed to the bedroom. After a few minutes, one of the paramedics turned to me and said, “It looks like your grandfather has had a stroke. We need to get him to the hospital immediately.” They loaded him onto a gurney and into the ambulance. I gathered the hospital information to relay to my mother so she could meet them there. At that point in my life, I didn’t know what a stroke was. I grabbed the medical dictionary my mother kept on the bookshelf to do a little research (this was before the internet). After reading the description, I started to fear for Grandpa’s life. I didn’t want him to die. I retreated to my bedroom and asked God to save my Grandpa. I’m not sure if it was the prayers or the doctors’ skill, but Grandpa survived the stroke. The doctor said my quick action made the difference. If I had waited just a few minutes longer, things may have turned out differently. 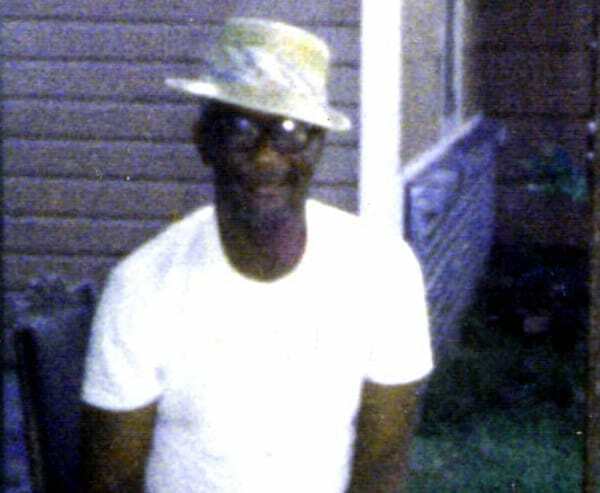 Although my grandfather was released from the hospital with his mobility intact, he lost his ability to speak. Over the course of several months, I had to teach him how to speak again. This was not an easy task, especially for a 15-year-old. It was exacerbated by the fact that Grandpa was illiterate. I read him several children’s books every day and asked him to try to pronounce words. I could tell that the process was frustrating to him and he would get angry and shut down. But I persisted. My hard work and dedication paid off. One morning as he sat down to his usual coffee and boiled eggs, he pointed to the plate and said, “Egg.” I was so happy to hear that word come out of his mouth and so was he. Although my grandfather never fully recovered his speech, we celebrated each of these small victories. 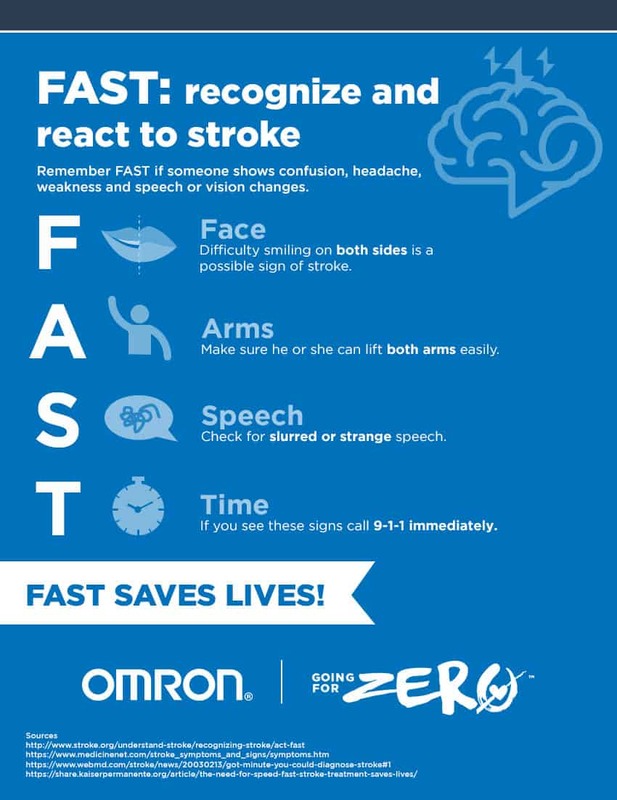 An American suffers a stroke every 40 seconds and treatment options are limited when people don’t recognize a stroke and get to the appropriate hospital in time. Therefore, the American Stroke Association has developed a F.A.S.T. way to identify signs of a stroke: If you see (F)ace drooping, (A)rm weakness or (S)peech difficulty, it’s (T)ime to call 9-1-1. Monitor Your Blood Pressure. Having a device at home such as the EVOLV, Omron’s newest blood pressure monitor, is fast and convenient. Because of my family history with high blood pressure and stroke, I’m following this advice to make improvements to my own health. Also, high blood pressure is one of the leading risk factors for stroke, so if you have hypertension, you are at a greater risk of stroke. Which is why it’s so important to know your numbers and act on it if you are hypertensive. Small steps can make a big difference and during National Stroke Awareness Month, I thought it was important to raise awareness of stroke as such a condition has a strong impact on patients and their families.